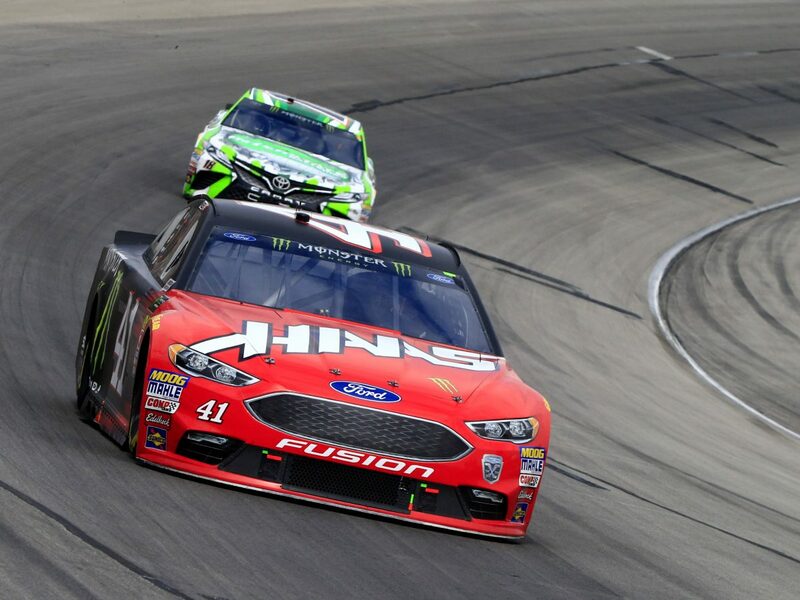 Kurt Busch started first, finished third and scored eight bonus points. The No. 41 Haas Automation/Monster Energy Ford pitted on lap 44 for four tires and fuel as Busch ran in fifth. He said the car was a bit loose. Busch said on lap 78 that he was a little tight in turns one and two and then a little loose in turns three and four. Started third, finished second and scored nine bonus points. Pitted on lap 86 for four tires, fuel and a tire pressure adjustment. When Busch pitted on lap 129 for four tires, fuel and a tire pressure adjustment, he came in third and left in first. Busch started third finished seventh. The No. 41 Haas Automation/Monster Energy Ford pitted on lap 163 for four tires, fuel and a wedge adjustment. Busch pitted on lap 233 for four tires and fuel. On lap 290, while running sixth, Busch pitted for four tires and fuel. When a caution for Ryan Newman’s accident on lap 305 came out, because Busch had pitted and the cycle was not yet complete, he was one lap down, despite being in eighth. He took the wave-around to get his lap back, but other teams had fresher tires, so he was only able to get up to seventh. This was Busch’s third top-10 of 2018. Busch scored his 18thtop-10 in 31 career Cup Series starts at Texas. Busch finished third in Stage 1 to earn eight bonus points and second in Stage 2 to earn an additional nine bonus points. Busch led three times for 40 laps to bring his laps-led total at Texas to 335.